This year, we really didn’t plan to do a big celebration. We just decided to have a nice dinner alone and hang with Layla afterwards. Although we didn’t plan for a big weekend, it turned out to be a busy one! Friday night Sheena and I had reservations at Churrascos in Sugar Land. It was great. 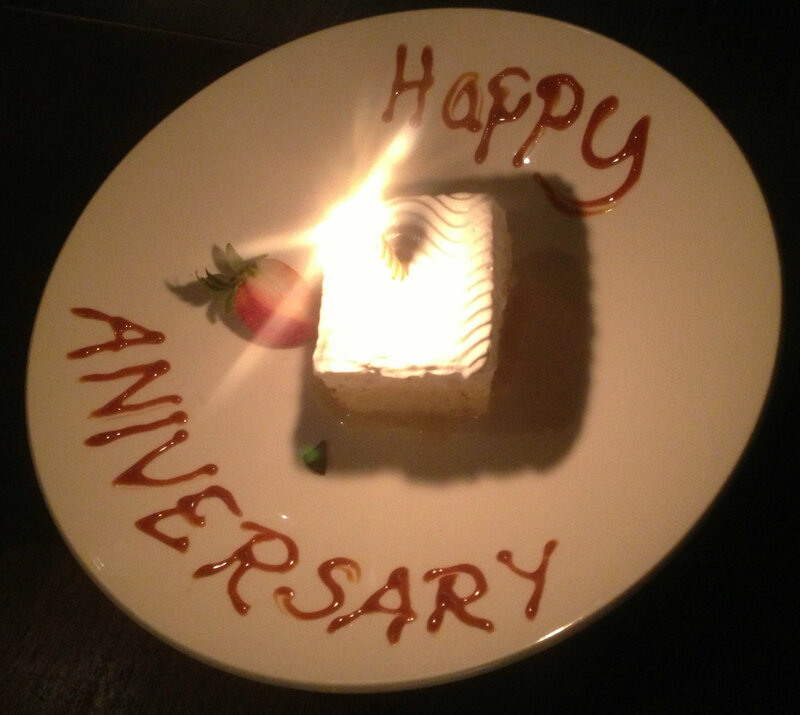 The food was awesome, the waitstaff was very attentive and the views of the lake were great! We also got the famous Tres Leches that we’ve heard so much about. It definitely lived up to the hype! Saturday morning we had a relatively relaxed start. The 3 of us stayed in bed for a bit and watched some TV. Then around 9ish we got the day started. We’ve had an ant problem for a few weeks an although it was our anniversary weekend, I had to handle it. So I began spreading ant bait all over the yard and on the perimeter of the house. While I was doing that, Sheena was knocking out some to-do items around the house and Layla helped. There were a ton of bricks placed right against our house after another one of our projects, so to properly get the ant bait coverage I wanted, I had to move that to another spot. I didn’t realize how heavy that stuff could be, but it got done! 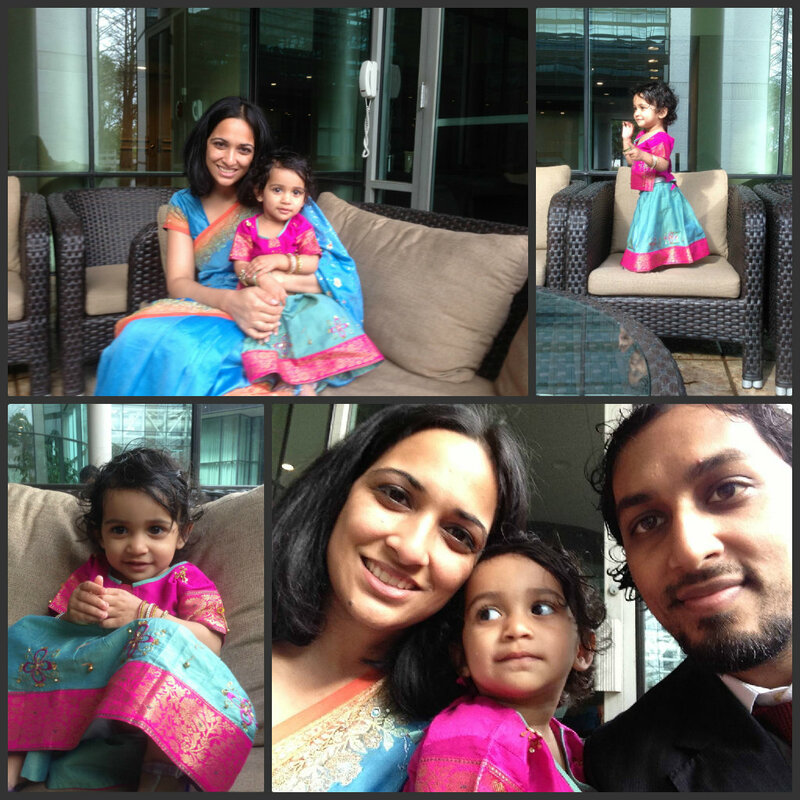 Around 2pm, we headed out to Sonal’s wedding. Sonal is one of Sheena’s buds from college. She’s a great gal! I forgot to mention in my previous post, but Sonal was one of my advocates to Sheena! So I guess you can say that she helped out in the process of getting Sheena and I together (thanks Sonal!). Oddly enough Sonal’s wedding was at the same spot where our wedding reception was! It was cool to be back there on our 5th wedding anniversary where it all started! 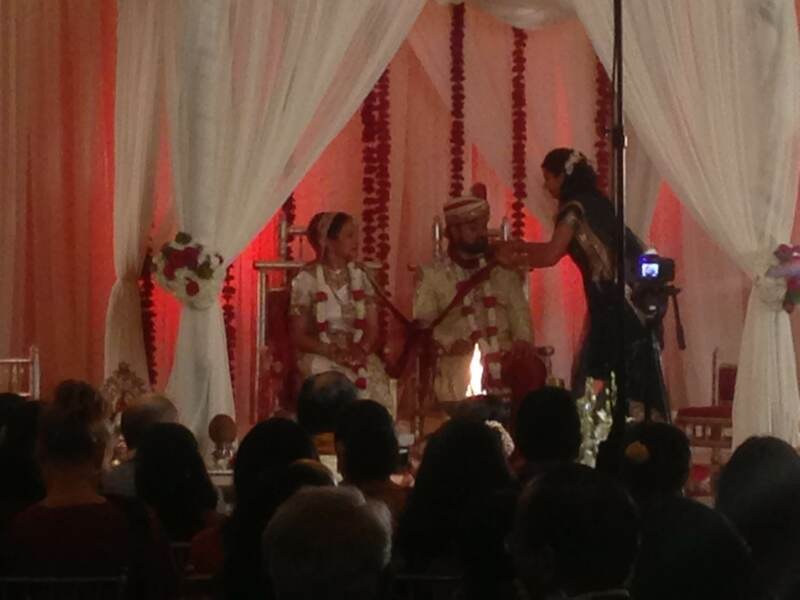 Sonal’s wedding was amazing! She looked beautiful and we had a great time! Between the ceremony and reception, we had a break so we took the opportunity for a photo session! Once the reception started we were entertained by the speeches from the couple’s loved ones. 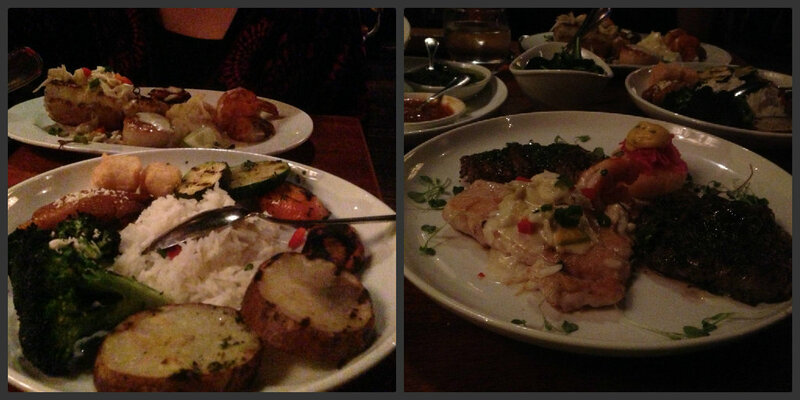 Not to mention the delicious food! I didn’t get to see where it came from, but it was awesome! While dinner was winding down, the music was playing and the rhythm caught Layla, so she headed to the dance floor to show off her moves! If you run into Sheena, ask her to see the video of Layla breaking it down on the dance floor! Although Layla was having a blast, we were pooped from the long day, so we made our way outta there. Sunday (after losing an hour of sleep for daylight savings) we went to church and did a bunch of house visiting. It was our good friend Cyndi’s birthday, so we grabbed some lunch and hung out with them along with Earl and Asha. 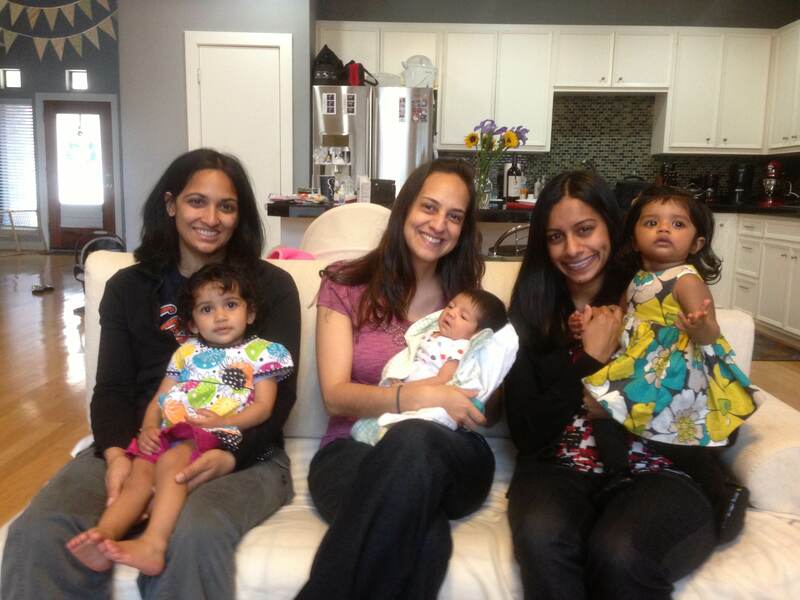 Manju said lets get the kids together for a pic. We all thought it was a horrible idea cause Layla and Maya wouldn’t stay still, but it actually turned out pretty well (good job Manju)! And another with their mommies. After chilling with these guys, we headed straight to Mom’s house in Pearland. We only hung out there for a little bit cause we had to be at church for a project we were working on. So after Pearland, we went to my parent’s house in Stafford to drop off Layla, then headed to church. Then it was back to my parent’s house to pick up Layla, then straight to Mini Aunty’s house for dinner. Finally, after a satisfying dinner and good conversation with the family, we headed home for the night. Long day, but a good one! Overall a busy, but great weekend!